Holt BMW outside of Athens, OH is only about 35 miles from Parkersburg if you do need a dealer. Even Motohio would be closer to you (106 miles) than Hilliard. I believe Holt has closed its doors. I visited the shop a couple weeks ago and found a note on the door that he has shut down. After 27 years we’ve decided to close our BMW Motorcycle Dealership effective August 31st, 2018. We will continue as Holt Design Organisation to provide BMW motorcycle paint and will operate the body shop full-time. We want to thank you for your support, business, and friendships over the years — it’s been quite a ride! Sorry to see this, but I always wondered how they survived so long as an old-school operation, without the BMW-mandated showroom design. Well, you are close enough, but I just remembered that my older GS-911 will not work on a wethead. Yeah, they are my dealer and where I bought the bike. Sad that they closed up, but Ken liked doing restorations and painting of vintage BMW's. He's as good as it gets, so I figure he'll do just fine. People send fenders and tanks from all over the country to him. 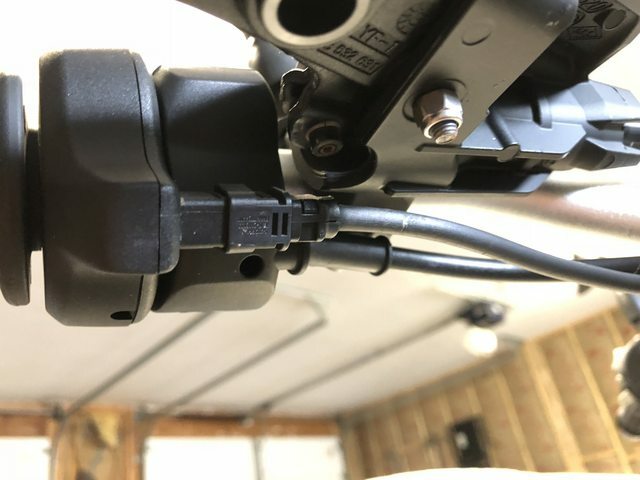 As stated by one of the responses, handlebar risers such as what I use, can cause the wires to stretch from the throttle. They didn't stretch, but they did come unplugged. Here is a picture of the connection, so if you have this problem, then check this connection.